Dance’s hot photographer-of-the-moment falls head over heels for Chicago’s movers. A ballerina penchées in an asphalt pit in the Kinzie Industrial Corridor. 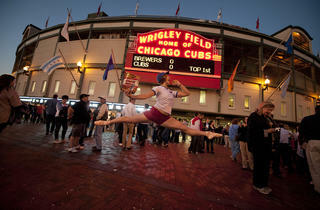 A contemporary dancer leaps in front of a Metra train. These Chicago images, along with more than 100 other shots taken from coast to coast, appear in Jordan Matter’s upcoming book, Dancers Among Us, scheduled for release in early 2013. Future locations include Boston, Denver, Los Angeles, Miami, Philadelphia and Washington, D.C.
Matter was in Chicago the week of September 19; I caught up with him by phone after he returned home to New York. 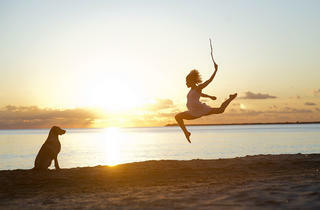 Where has the Dancers Among Us series taken you so far? So far I’ve done most of my shooting on the East Coast, from Boston down to around Baltimore, and then San Francisco, Montreal and Las Vegas are the other major cities. This was my first time [shooting] in Chicago. Well, I’m shooting around the country and I wanted [to include] a Midwestern feel and Chicago has some great locations, and right outside of it, too, so that helped. But, primarily, because it’s an identifiable city with some amazing dancers, some really, really phenomenal dancers. How did you find these phenomenal Chicago dancers? Word of mouth, mostly. I just sent out a couple of tweets and Facebook posts and ended up with way, way more requests than I could handle. Over 50 people wanted to do it and I ended up shooting 23. And I have to thank [Chicago choreographer and casting director] Christopher Perricelli, specifically: Each dancer he sent me was more talented than the next. I was just blown away, very impressed. And, you know, everyone seems to know each other, and they really respect and support each other. How long did each of these images take to capture? Well, I shot for four and a half days and ended up with 30 photos. We got about six shots a day. If you know what you want, exactly, you can get it within an hour. But a lot of what I do relies on spontaneous moments, on going to the location and then figuring out the shot once I’m in the location, which can be a little more time-consuming, although it doesn’t usually take more than three hours, from start to finish. In these cases, when you’re pretty sure of what you want going into the shoot, do you also decide what the dancer will be doing? I like the position of the dancer to come organically out of the action, so we collaborate on that. It’s rare that I know exactly what they’re going to do. Usually I know the locations I want to go to but that can be up for discussion, too. When I first arrived in Chicago, I had three dancers waiting, plus an assistant; we met for coffee and I said, “Okay, where should we go?” I didn’t know anything about Chicago so I really started out here open-ended.… It was a lot of fun. 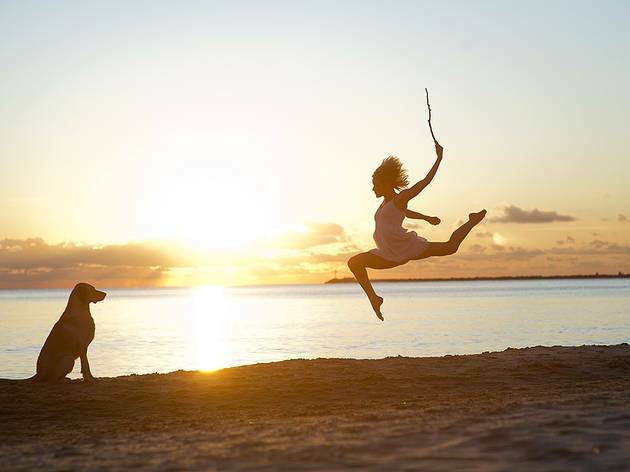 What launched you into this Dancers Among Us project? While I was photographing a dancer with Paul Taylor [Dance Company], I was playing with my son and noticing the imagination, the joy he was taking from these little moments and started wondering why we [adults] don’t take the same amount of joy from the everyday. So the idea of creating photographs with dancers, showing these joyful celebrations of the everyday moments of life, came to me. I asked Jeffrey [Smith], the Paul Taylor dancer, if he could get me some other dancers and he, miraculously, was able to get me almost the whole company. I had no dance photography experience whatsoever. I just spent a summer [in 2009] walking around with these Paul Taylor dancers, trying things out, like, “What if we shot you hailing a cab?” and stuff like that.… And it’s come full circle: They actually just hired me to shoot the 2012 campaign for [the] Paul Taylor [company], much in the style of Dancers Among Us. Your father, Alex Matter, is a film director; did you pick up any tips from watching him work about how to close the gap when a shot is almost there, but not quite? I didn’t get to see my father direct as much as I would’ve wanted to, since that was more when I was younger, but my grandfather [Herbert Matter] was a pretty prominent photographer, and I would spend hours with him in his darkroom. A quality that he had was perfectionism, and I’ve found that I’ve inherited that quality, to just keep pushing, further and further, until everybody’s exhausted and I feel that I’ve finally gotten it. It’s usually in the final stages [of a shoot] that it really all comes together. 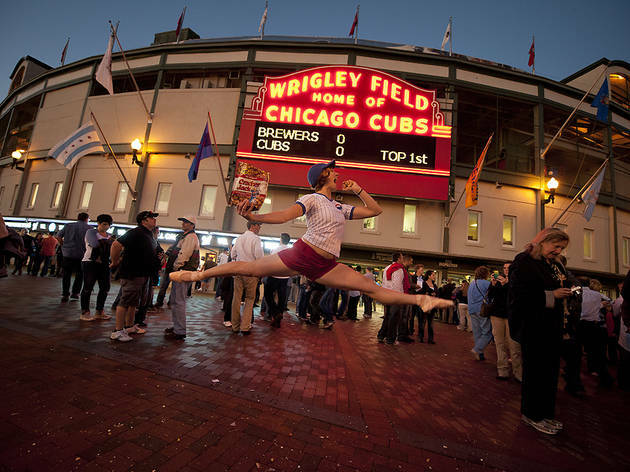 For example, the photo of [dancer Erin Clyne] jumping over the [Metra] train tracks: We got that image, I loved the shot, in the first ten minutes, but there was no train. And then [a train] came, but it was on the wrong track. She was exhausted but we pushed just a little bit longer and, finally, the train came. We got the perfect shot. Jordan Matter’s book Dancers Among Us is scheduled for release in spring 2013 from Workman Publishing. See more photos online at jordanmatter.com.